ELM Events treasures the relationships that are built with their couples, long after the wedding day has come and gone. See some kind words from our sweet couples. Lauren Miller is an absolutely outstanding coordinator! I was a Chicago bride who decided to have my wedding in Charleston and things couldn't have run more smoothly. Within the two years of being engaged I could only make it to Charleston twice, but communication through phone and emails were seamless. She made the planning process fun and easy. I came the day of with a uhaul of DIY projects (literally, a uhaul) and provided Lauren with very little instruction and she somehow managed to piece everything together. I offered to help, but she insisted that I enjoy my day and left me to have fun and get ready with my bridesmaids. Definitely a much more memorable experience compared to setting up programs, signs, etc. We didn't even have a ceremony rehearsal since everyone was coming in from out of town and she directed the whole thing to perfection! Lauren exceeded our vision in every aspect and was an essential part to our wedding day! Working with Lauren was one of the best decisions we made! Finding someone I could trust with all of the details was a bit of a challenge for me, but I immediately felt comfortable with her. She worked with me to create a beautiful space, helping me make the biggest visual impact possible while keeping my budget in mind. On the day of the wedding, I never worried once about how things would fall into place; I knew Lauren would take care of every detail. When I showed up after the ceremony, she handed me a glass of wine and snuck me through the back entrance so I could have a sneak peak of the reception space. I was so overwhelmed by how beautifully everything came together that I couldn't hold back the tears. Lauren at ELM Events was a dream to work with-experienced, professional and just a genuinely nice person! If I had to sum up Lauren's planning services in a word, that word would be INVALUABLE. From start to finish she was there to help guide me to decisions, design my ideal day, help me work that ideal into my budget and execute the services and reception perfectly. She ensured my day went smoothly, and that I didn't spend anytime worrying about it. And there were many things about my wedding day that did not lend itself to smooth. A torrential downpour which meant Lauren had to change from a lawn ceremony to a covered one day of (it turned out better than the original much to my pleasure!) She kept her cool the entire time! I did not have a large budget or overly fancy needs. I know when you are working in the budget you may think a planner is an expense you can go without. Using ELM Events as my planner saved us money in the long run. Her knowledge helps you understand and prioritize details that Pinterest/magazines/photos make you feel like you need, but really go unnoticed at the event. She has planned hundreds of events and her knowledge on space, vendors, flowers, menu, trends and entertainment were immensely helpful for me. It was like having a friend to help me plan my wedding because she was truly invested in our happiness for our wedding. I honestly don't know what we would have done without Lauren! I was planning the wedding from New York and she took care of all of the details. She handled everything while I was able to get ready and enjoy being with my friends and family. Even when the weather forced us to move the ceremony site at the last minute, Lauren showed grace and poise under pressure. The wedding still went incredibly well and I'm not sure what we would have done if we hadn't had her on our team! A few days before the wedding I gave her all of my DIY projects and she managed to arrange everything exactly the way I wanted it-even with only one meeting and a few email exchanges. Lauren was efficient, professional and a true pleasure to work with! She knows everyone in the industry--I highly recommend ELM Events! Lauren is a gem! She was worth every penny (and more!). She took my ideas for my perfect wedding and just expanded on them. Everything was even better than I could have ever pictured it. I would give Lauren and her team 10 Stars. They are amazing! I would absolutely recommend Lauren Miller to be your wedding planner. A friend recommended her to me and I was beyond in love with our wedding.  You will definitely be in good hands with ELM Events. If I could give ELM Events a 10, I certainly would! We dealt with Lauren for months in the planning of the wedding details. She entertained our ideas for the venue set up and decor and embellished our thoughts with her wonderful suggestions. She guided us through the many, many ideas, colors, layouts, etc. We developed a long lasting friendship in the process. Lauren is so easy to deal with on every level. Her talents, patience and sincerity are beyond measurable. She eased our minds with our plan, made it come to life the day of the wedding, and made the dream come true! Lauren, you are one talented and wonderful lady! Thank you one hundred times over! Lauren was absolutely amazing from beginning to end and with everything in between! She is creative, responsive and receptive to every little detail. The thing I loved is that she offered al a carte options to fit every brides budget and needs. She truly made our wedding go off without a hitch and it was so incredibly special. We LOVED working with her because she is just a wonderful person that we got to know along the way too. Being a destination bride and planning from a far - she truly was wonderful in every way. I was so lucky to stumble upon her in my search and would highly recommend ELM Events! Lauren was an absolute pleasure to work with from day one. Being in the event industry myself, I knew that having the right wedding planner was key to creating the wedding I envisioned and a stress-free day. A big challenge we faced was that we were only going to be able to visit Charleston once before our destination wedding so I needed to have someone that was going to be great at communicating long-distance and could maximize the time we had in our one in-person meeting. Lauren was all that and more. She was extremely patient with my requests to review vendor invoices and make last minute changes and requests. In our pre-planning meeting, she was able to listen to my vision and bring it to life with the perfect recommendations for vendors and décor. I genuinely can't imagine having a better planner. She handled unexpected issues, sent me some sneak peaks of my flowers and reception decor which I loved, made sure everything went smoothly and was stress-free. Besides being a great planner, Lauren is a lot of fun and someone I genuinely enjoyed being around. If I could do all over, I would definitely choose Lauren and her team without hesitation!